Are the Ewings gone for good? I guess sometimes you can’t go home again after all. At least this was the case with the Ewings, who were evicted by TNT executives on Friday after three bumpy seasons. The fact that TNT chose to make the cancellation announcement on a Friday, the graveyard day for press releases when you purposely want to bury news, indicates they were expecting some fallout from viewers. Boy, were they right about that one! TV blogs are ablaze with disappointed comments from fans who were hoping to find out the answers to the cliffhangers Cynthia Cidre and her team served up in the September 22 season finale, which ended up being the series finale. Is Christopher really dead? Whose baby is Elena having? Finally, who is J.R.’s daughter and who is her mother? That last zinger is worth a whole series of posts with the list of candidates being as long as a state highway. Unfortunately, we may never know the answers to these questions. With fans venting on social media and cast members stoically acknowleding their support on Twitter, is it fair to expect that TNT could have hung in there a little longer to let the show regain its footing in the wake of Larry Hagman’s death? Losing Larry Hagman may have been the fatal blow. If you look at it from an objective point of view, the network gave the show a fair shot. As the TV blogs have pointed out, the show debuted strongly, garnering 7 million viewers but gradually tapered off during each successive season, culminating in only 1.7 million viewers for the season finale. Cable networks may have different ratings standards than the broadcast networks but they still have to pay the bills. As passionate and vocal as the show’s following is (myself included), the numbers prove that the show lost the interest of the bulk of its viewership as time progressed. Theories on why Dallas tanked are plentiful. 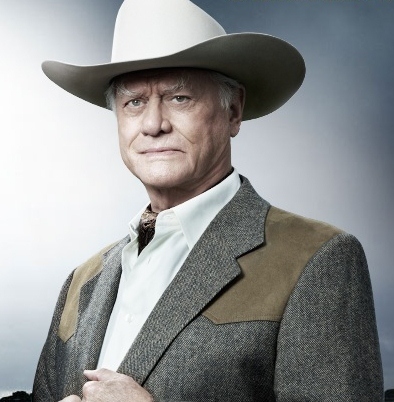 Many believe Larry Hagman’s passing left a huge hole in the show’s tapestry. Some blame TNT’s indifference to older viewers who made up the core of the show’s following but are not the favored target market of advertisers. Others simply believed the show was not as good as the original. I think all these factors played a role in its demise. The character of J.R. was the heart of the show, for better or worse, and it was a tough challenge to make up for his absence. The show’s post-Hagman strategy seemed to be to dilute J.R.’s villainy and spread it to a number of characters, which put the show out of whack without a single character emerging strongly as the principal antagonist. Harris Ryland, who had potential when he first showed up to terrorize Ann and Bobby, was defanged when his twisted mother Judith showed up. The imperious yet surprisingly brittle Mother Ryland easily overshadowed her boy and while Judith Light was a hoot to watch negotiating with drug lords and pulling the strings behind a brothel of all places, it all added up to too little, too late to pull the show out of its ratings slide. Among the young characters, Pamela and John Ross kept flip flopping between acting like one-dimensional schemers and complex, wounded souls, which made it difficult to grasp their essence as characters. The blandness of Emma, Christopher and Elena, meanwhile, owed a lot to poor casting choices. In my opinion, most of the new characters lacked the charisma of the show’s classic heroes and villains. Was Katherine Wentworth going to be revealed as the mother of J.R.’s daughter? As I once opined in my previous critiques, I never shook the feeling I was watching “Dallas Lite” and was forever hopeful that producers would bring the evil Katherine Wentworth back from the shadows to terrorize Bobby and give the talented Brenda Strong someone worthy to come up against. What we got instead was Tracy McKay, one of Bobby’s grade C flings from his post-Pam years, in a lame storyline that gave the talented Melinda Clarke, so compelling in the CW’s Nikita, precious little to do. The cartel storyline dragged on far too long and was pedestrian in its torn-from-the-headlines tone. Classic Dallas was about high-stakes business wars not drug wars. Scenes of veteran corporate raider Cliff Barnes scheming in his limousine were far more compelling than Luis’ poor man’s rendition of the young Benicio Del Toro in the 1989 James Bond flick License to Kill. Nicolas Trevino’s final scene stepping out of a private jet, hinted at a return to Dallas‘ golden years of corporate intrigue. Alas, we won’t get a chance to see what Nicolas had in store for the Ewings, at least not on TNT. There’s some social media buzz going on about shopping the series to another cable network. I will certainly support the idea if it gains momentum. I think it could work well on Netflix, which I’m convinced is the new frontier of TV viewing, or perhaps on TV Land, which clearly targets retro audiences with its old school-style sitcoms and could break into scripted drama if it snatches up Dallas. Perhaps Dallas will be saved by another network or we’ll get a two-hour TV movie wrapping up loose ends. Whatever happens next, I’m happy that TNT took a chance on Cynthia Cidre’s new vision for the show and gave fans a chance to catch up with the Ewings if only to see the amazing Larry Hagman put on J.R.’s Stetson one last time. Do you think Dallas can be saved? Thanks, Dennis. Let’s hope another network recognizes that soon! I agree…Netflix or a similar platform is the way to go. It was good while it lasted! I love love love Dallas!!!!! Seems like there is a petition to save Dallas…join me in signing up!